Everyone has asked it at one point or another in the conversation about Bitcoin. But if that was all there was to the matter, the question wouldn’t come up so frequently. Bitcoin is absolutely legal, but it has been tied to illegal activities, hence the reputation blemishes. Before you gasp in shock and give up any ideas of future Bitcoin investments, consider for a moment that illegal activities have been tied to virtually every currency in the world. Regardless, just because bad people do bad things with Bitcoin, the currency itself is not tainted with the stain of the seedy underworld. There are a lot of people at work devaluing Bitcoins for many different reasons. Some, like certain governments are acting deliberately. Others, like recently arrested Bitcoin exchange CEO Charlie Shrem, have simply dragged Bitcoins into their own illegal activities. There are many stakeholders in Bitcoin’s successes, but even more parties are hoping for the currency to fade away or – even better – explode grandly with charges of illegality and fraud. Federal banks might have inspired Bitcoin development, but only in the sense that the federal banks were the catalyst for a new type of currency. In a federal banking system, all of the money is controlled by a single entity. It might be a government department or a contracting entity of the government like the United States Federal Reserve. The central bank prints and distributes the money, monitors transactions and tries to control inflation and other monetary and economy fluctuations. Of course, the biggest problem with a system like this is that all of the money in an entire country is in the hands of a single entity along with the power to print more at will. If the person in charge of the central bank makes a bad call, the whole country, perhaps even the whole world, is affected. Naturally, you don’t expect any rash moves from the central bank, but every adult on the plant knows that man is fallible. If all of your money is going through the hands of one company, who’s to say that company is treating the money correctly? Who’s monitoring to be sure that things are on the up and up? When a central bank is running the show, it is virtually impossible to provide oversight to the organization designed to provide oversight. Bitcoins, however, are not managed by a central bank. The internet currency is “mined” online and it is monitored by stakeholders all over the globe. In order to “mine” or create new Bitcoins, a company must use a tremendous amount of computing power to check previous transactions. It is only by monitoring previous use of Bitcoins that more Bitcoins are allowed into the system. Since no entity owns close to, much less more than, fifty percent of all Bitcoin stakes, there is no monopoly on creation or checking transactions. Every Bitcoin transaction is public thanks to the key that is attached to the public record at the time of the purchase or trade. The transaction, including public key, is sent to all of the Bitcoin nodes who then race to check the block of data, adding it to a chain of previously checked transactions. All of the work that goes into creating the long block chains is then rewarded by more Bitcoins. The Bitcoins are checked and distributed in a cycle that is self-sustaining and includes multiple checkpoints by a variety of stakeholders. It is all but impossible to spend Bitcoins twice or to hide them from others since transactions are public and rigorously checked. Of course, you wouldn’t know about that level of monitoring if you just read reports by central banks. The Russian Bank in particular has fired on Bitcoin lately. The Russian Central Bank went on record last week as saying cryptocurrencies like Bitcoins are “dubious” and it warns its citizen away from using them. 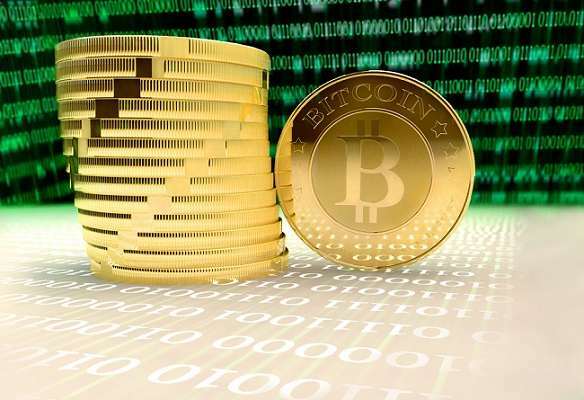 The Central Bank also went on to say that under Article 27 of the Federal Law “On the Central Bank of the Russian Federation”, Bitcoins and other virtual currencies called “money surrogates” are illegal in that country. There are two problems with the bank’s statement. 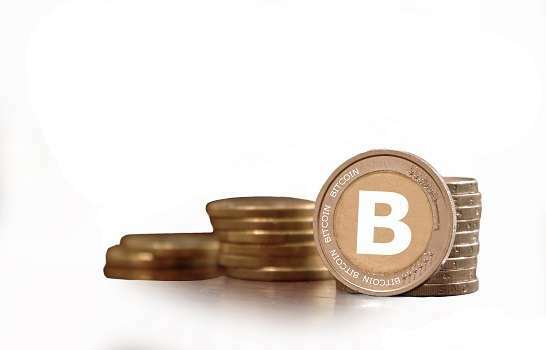 First, even though the Russian bank warned its citizens that by using Bitcoins they “may become involved, including unintentionally, in illegal activity such as the legalization (laundering) of criminal gains and financing terrorism,” it is unlikely that a person buying a new teapot on Overstock.com using Bitcoins is going to be funding the sale of narcotics if they aren’t intentionally doing so, which is a separate matter entirely. The public block-chain of transactions makes it possible to check every transaction for validity and fraud. It would be much easier to get illegal funds diverted from a government project by an unscrupulous employee than to accidentally fund terrorism using Bitcoins. Second, Bitcoins is an internet currency. Therefore it does not fall under the laws of Russia. The same can be said of China and Denmark governments that have also banned Bitcoins. Can a country ban something that exists online? They can ban the use of Bitcoins in certain transactions. They can citizens from owning Bitcoins if they like, but they can’t make a huge internal currency go away because they want it to. It does beg the question, though – why would Russia, China and Denmark go to such trouble to black-list Bitcoins? They haven’t banned dollars, and up to $2 billion of those are laundered illegally every year. Governments may very well want Bitcoins banned because they don’t understand the currency or they even fear the potential it has to undermine the central banks and tax structures. It may be that restrictions loosen over time as these governments have a chance to explore Bitcoins more fully or their reasons for banning the currency may become clearer over time as well. The recent arrest of Charlie Shrem, the CEO of one Bitcoin exchange, has highlighted the possibilities that exist for illegalities with Bitcoins and other cryptocurrencies. In this particular case, Shrem and another now-arrested individual were using Bitcoin as the currency involved in online illegal drug sales. Shrem was also charged with the Bank Secrecy Act for not alerting authorities to illegal activities moving through his company. Many are making this out to be the beginning of the end for Bitcoin and the media is loving the dramatics over it. This is not really news, of course. While naysayers may be claiming this is the sign we needed to shut the whole thing down, the fact of the matter is bad guys use every currency for illegal things. What is interesting, however, is how easily and quickly these two “bad guys” were caught when they allegedly tried to use Bitcoins in a laundering scheme. Remember, of course, that as much as $2 billion U.S. dollars are laundered successfully every year without consequences in many cases. Mr. Shrem and his colleague attempted to launder a measly $1 million and hit the skids in relatively short order. If anything, Bitcoin didn’t make it easier to launder money – it made it easier to catch the guys doing it. It helps, of course, that there are dozens of others racing to verify each transaction, with an eye out for potentially fraudulent ones. There’s really nowhere to hide in an interconnected currency network like this one. Charlie Shrem found this out the hard way. While there is still a great deal of speculation about the future of Bitcoins and how well it will catch on in the mainstream, there are a couple of things that are certain. The first is that currency like Bitcoins are gradually becoming more acceptable. A judge in the United States has ruled that Bitcoins is “real money.” Large companies like Overstock.com are accepting payment in Bitcoins. Acceptance will only continue to spread. The second is that there will always be rumors about the dark side of the currency. This is a new concept for many people and there is some risk in investing in Bitcoins, just as there is risk in investing in anything. Those looking to protect their own interests or the interests of their bank or government may continue to paint Bitcoins in a negative light. Savvy consumers will simply have to see through the media spectacle to the real events occurring.